At the halfway point in the CISE (Community Innovation for Sustainable Energy) project, we have already found that the community energy sector is extremely dynamic and moving very fast. As a result, the panel discussion event ‘Community Energy: taking stock, moving forwards?’, hosted at UEA London on March 8th 2012, provided a timely opportunity to take a step back and reflect on recent developments within UK community energy and on their longer-term implications. ·How have recent developments in national energy policy affected community energy initiatives? ·Have responses to these policy proposals galvanised and/or unsettled the community energy sector? ·What should be the key priorities looking ahead; who needs to be involved, and how? Whilst there was recognition that recent policy developments had, for example, provided a ‘kickstart’ to renewables and had significantly raised the profile of community energy groups, this optimism appeared to be offset by real concerns over the longer-term picture. In particular, there was concern that community energy was something of a ‘squeezed middle’ as energy policy was being developed only for large-scale energy providers or for individual householders, and was therefore failing to account for the specific challenges of community-scale delivery. At the same time, some panellists suggested that these challenges were well-recognised by both policy makers and large-scale energy providers, both of whom were already working hard to create a coherent and long-term structure within which community energy initiatives could flourish. The panel recognised that the community energy sector is extremely dynamic and diverse which often made it difficult for large-scale energy providers and policy makers either to receive clear messages from the sector or to develop appropriate and long-term frameworks for its development. At the same time, other panellists argued that existing policy was insufficiently ambitious with regard to how far community energy might be scaled-up. It was suggested that, within the existing energy market and policy domain, community energy was being seen as a small-scale ‘soft and cuddly’ sector and that, as a result, policies were being designed that failed to allow scope for significant and long-term expansion of the sector. Here, panellists suggested that the UK could learn important lessons from Germany where community wind, for example, is a major sector contributing almost 10% of Germany’s electricity. For community energy practitioners, the challenge appeared to be one of developing clear evidence of the value of community energy projects – both in terms of their potential contribution to the future energy mix, but also in terms of the wider benefits initiatives can have within their communities. This, panellists argued, needed to be accompanied by strong leadership within the community energy sector to ensure it could have a strong voice within policy debates. For policy makers, key priorities involved continuing to support the community energy sector not only financially, but also with respect to mobilisation and engagement in key policy discussions. At the same time, the message from the panellists was very clear that future policy for community energy needs to be transparent, clear, equitable and stable in the longer-term. Regarding who should be involved, panellists appeared agreed that none of the current major players could or should be excluded. Instead, they called for the development of strong partnerships between community energy groups, large-scale energy providers and commercial developers, local authorities and central government and its agencies, based around the central recognition that a successful community energy sector would work for the benefit of the whole of society and not just for the few. 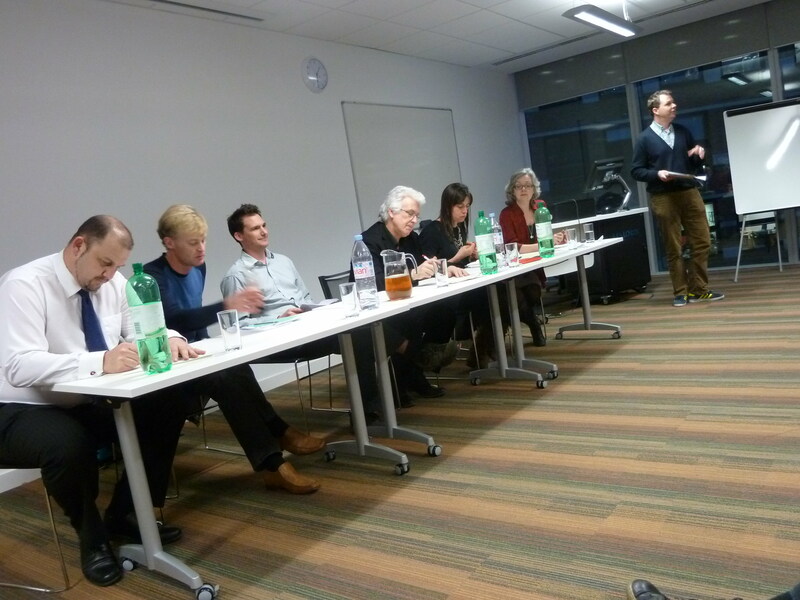 Yvonne Rydin, chair of the discussion, has also blogged about this event. Read her thoughts here.